Detroit New Roof | Detroit Roof Tear-Off | Detroit Roof Installation | Detroit New Roof Estimate | Detroit Roofing EstimateMcGlinch & Sons CO.
McGlinch & Sons has been serving Detroit and Southern Michigan since 1917 as a reliable new roof provider. We are here to offer you a roof company with years of experience and know-how. If you would like a new roof estimate call our professional team. 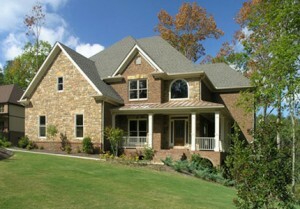 We are a licensed and insured exterior contractor who handles all aspects of exterior construction. If you need a roof tear-off or new roof McGlinch is the only company you should call. We provide Detroit area residents the experience necessary to get the new roof they need on time and within budget. Get a roofing estimate today by contacting us. We are trained specialists you can depend on. McGlinch are the experienced professionals who can help you with a roof-tear off or a new roof. Anytime Detroit residents need a new roof they make us their only call. Detroit is often referred to as “Motor City,” due to its long history in the car industry. Detroit, Michigan is located on the Detroit River and has a population of 673,104. Many Detroit customers recommend McGlinch for many reasons one of which is our reasonable roof estimates. Get the expert roof installation you want from our family owned and operated business. McGlinch is the roof provider that goes the extra mile to make sure we take all the stress out of a roof tear-off or roof installation. If you want a new roof estimate call today and take advantage of the dedicated team we provide. McGlinch & Sons will give you the price you wish for and a strong new roof. Let us assist you with our 90 years of knowledge and experience. We are the home improvement company that will provide a quality new roof, roof tear-off or roof installation you deserve. Give us a call at (313) 278-2777 for your FREE estimate on a roof tear-off or new roof in Detroit area.